Students at Buckeye Valley East Elementary got the chance to step outside Thursday for a special tree dedication. Each grade level (pre-K through fourth) received a quote-inscribed plaque to place before a tree planted in front of the new elementary building. 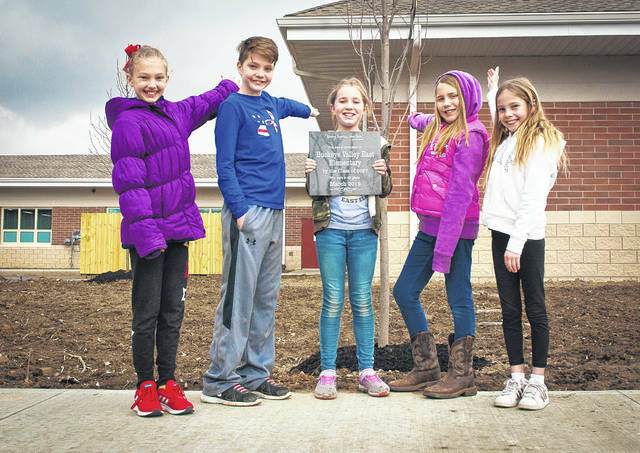 Proudly pointing to their tree are fourth-graders (left to right) Bridget Bolton, Jonah Meier, Chole Alexander, Sawyer Clark and Kayleigh Agin.